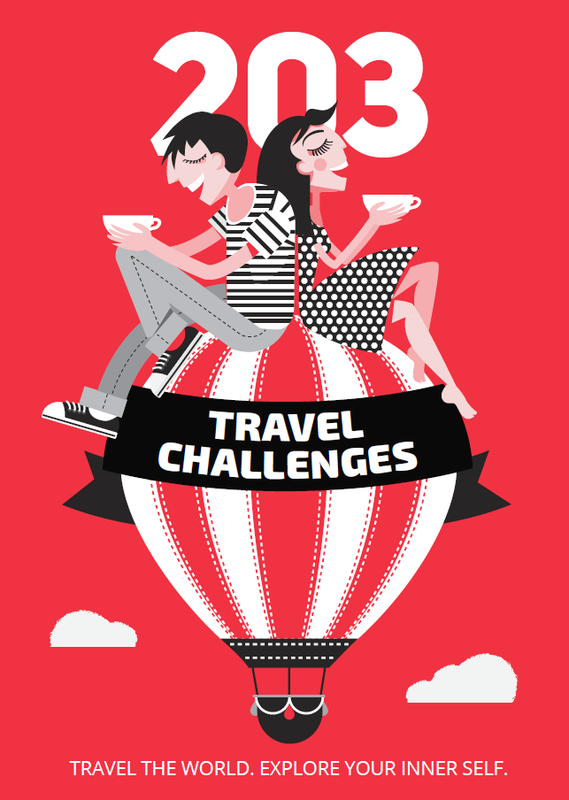 Whether mainstream or just plain weird, there are always things that you can do when you travel that you cannot do at home. Not only do they make for an interesting story to tell, they are what makes a place stand out above the rest. Here are five unusual things to do in Tbilisi, Georgia. Find a map of the locations at the end of the post. 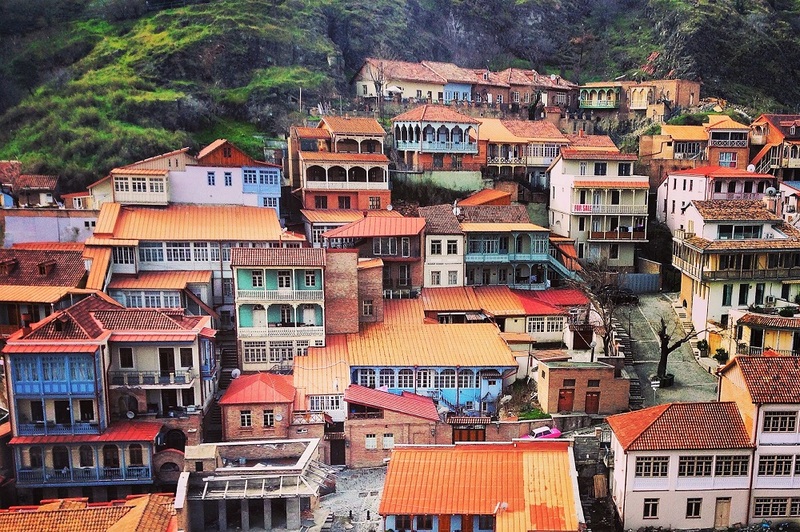 Tbilisi is translated literally as “warm location” because the city sits on top of sulfuric hot springs. 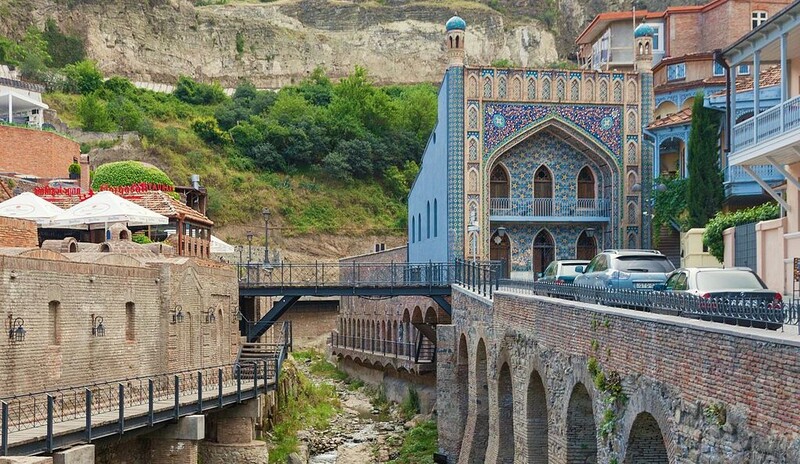 The Dzveli Sulfur Waterfalls can be seen right outside the Sulfur Bath location in Old Tbilisi. There are two ways to experience a sulfur bath in Tbilisi. If you like privacy for yourself or your group, a private room can be reserved. For a more traditional Georgian experience, you can do a public bath. For a low cost, soak in the hot tub with Georgians and tourists alike, and you may also get an optional massage. While sulfur springs can be found in other parts of the world, most people do not live near one to soak in one every weekend. For this reason, sulfur baths are a must do activity in Tbilisi. Georgia is renowned worldwide for its wine and cheese. In fact, legend has it that Davit Gareji himself lived on cheese as a staple to survive when he was in exile from Tbilisi. There is so much delicious cheese in Georgia that you will not get tired of it at all. But for something different, head under Dry Bridge to Bagrat Mezumishvilli’s store. A sign on the sidewalk advertising the newest cheese beckons you in to what would normally be considered a typical wine store. The owner has lived in the United States, so he is fluent in English as well as Georgian. He allows customers to sample various unique cheeses that he has created himself by combining Georgian culture with foreign flavor, such as mint. All of his cheeses are made in the traditional Georgian way right outside Tbilisi with no chemicals. Aside from cheese, he is best known for his iki, a drink that predates the current popular Georgian liquor, chacha. Iki is a medieval drink, most similar to whiskey, that became extinct when Georgia was conquered by the Arabs. Since then, no one made this woody flavored whiskey until now. Mezumishvilli has a monopoly on iki since he is the only producer. But his prices are fair considering the experience you will have speaking with him about his cheese and Georgian culture. The iki bottle also makes for a great souvenir! No one has to be in Tbilisi long to know there are a lot of dogs. They are all mild mannered though and do not bark at people usually. If they have a tag in their ear, they have had their rabies shot, but it still would not be advisable to pet or play with them simply because strays can carry diseases. But there is a shelter that dog lovers can enjoy, especially for the many who may not be allowed to have a dog in their own country due to landlord rules. The best part of this shelter is also that there is no background check for volunteers unlike in countries such as the United States. Dog Organization Georgia is a dog shelter located near Lisi Lake. Dogs are in constant need of exercise, so no walk is too much. The lake is surrounded by spacious nature, so you can take the most amazing selfies with your new Georgian friend. 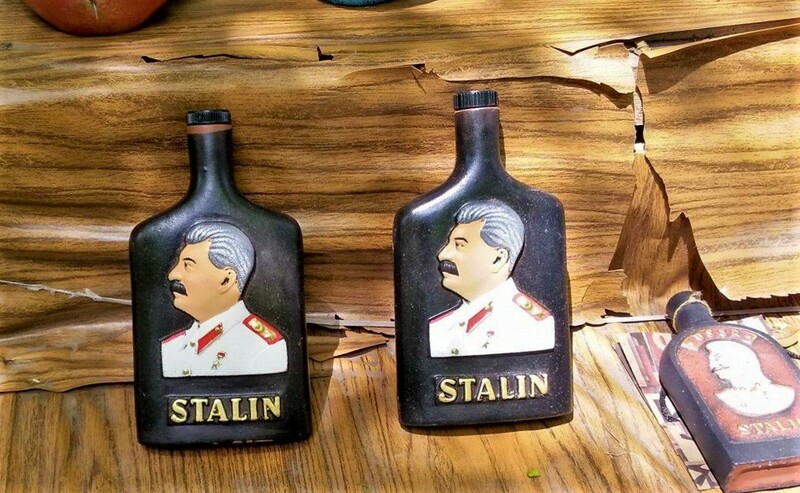 Whether they support Communism or they just want to make money off of history, some Georgians really do love Stalin, who actually was from Georgia, not Russia. No trip to Tbilisi will be complete without a trip to the most famous market, Dry Bridge Market. On the outside it looks like a typical art market. Keep walking through the trails in the park and up and down stairs though. Stalin and other Communist memorabilia, such as coins, can be found easily. There is even one place that sells guns, although it is not known what year they were made. Good luck getting them on the plane though if you do buy one! If staying in Tbilisi for a long time, you will eventually be invited to someone’s home. But for shorter stays, go to a home known as Wine Cellar on Mazniashvili Street. This is a unique experience because a Georgian family has opened up the bottom of their home to the public in the form of a restaurant. Homemade wine, chacha, and traditional Georgian foods can be had at an affordable cost. This is best for groups. Georgians pride themselves on how much khinkali they can eat; some eating as many as fifteen or more. Aside from the big belly that is inevitable after time, there is an art to khinkali eating. 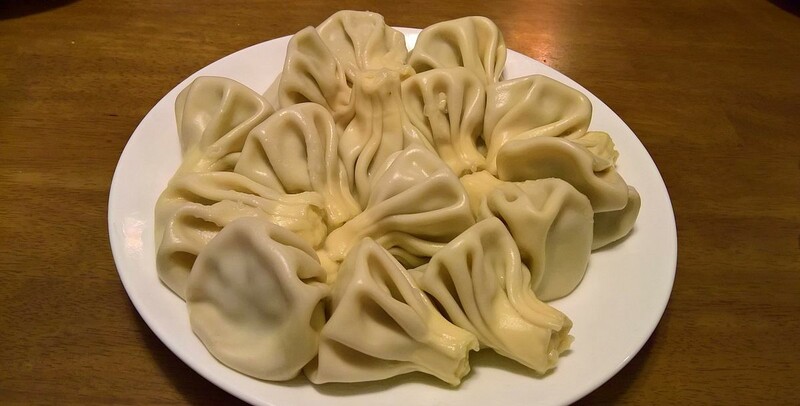 Kinkhali is a distinctly shaped dumpling that can be filled with meat, cheese, or mushrooms. Inside the meat filled kinkhali, there is broth, so if it is not eaten correctly, kinkhali can be messy. Worst thing is, you will stick out as a tourist! How to eat kinkhali like a local: Begin eating kinkhali by picking it up by its “handle” on the top. Take a small bite out of the side. Then attempt to drink the broth inside without it spilling down your arms. When the broth is gone, devour the dumpling by eating it like an apple. By all means, never use a fork and knife in this process! Uniqueness is many things. It can be historical, extreme, something that just can’t be done back home, or creative. Tbilisi is a city new to tourism. 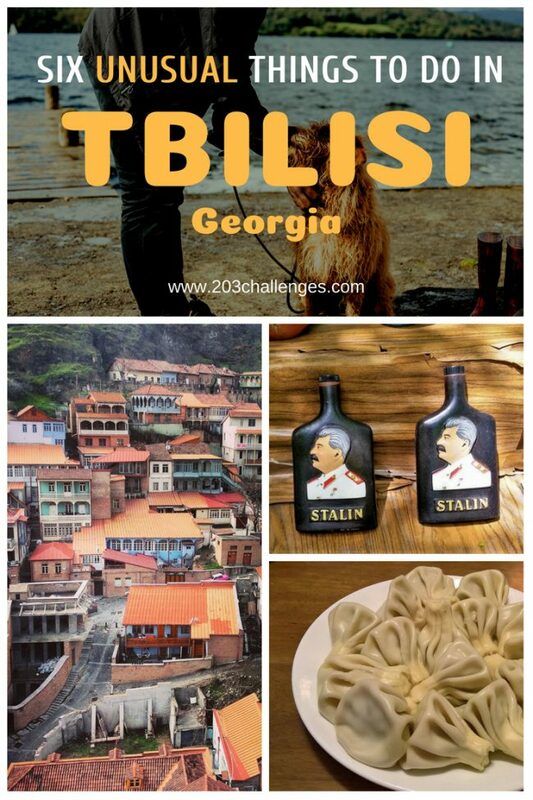 But by starting with these six unique things to do in Tbilisi, it will give you an insight into all the uniqueness that Georgian culture has to offer. Jai Schmidt is an American travel writer and website designer. Visit her website and store at Pretty Much Anything. Follow on Facebook and Instagram.